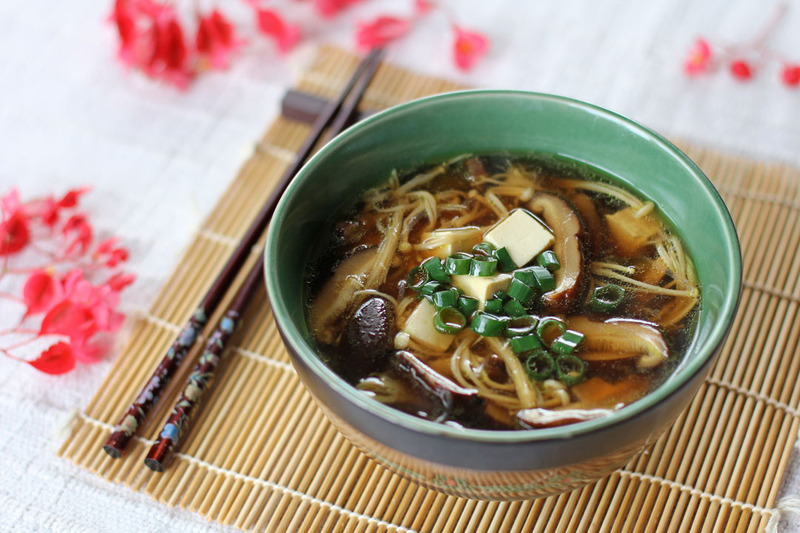 When I tried this recipe I was surprised, it was so damn tasty the umami flavour lingers in your mouth it becomes so addictive, honestly I can replace any chicken soup with this one. What good is that this is not just delicious, it’s healthy and very easy to prepare all you need to do is dump them into the pot. You don’t believe me, I dare you then to try it out first. Place dried shiitake mushrooms in a mug then fill it up with 1 cup of boiling water. Set it aside for 20 minutes or until mushrooms are fully rehydrated. Remove mushrooms from mug then thinly slice them, set aside and reserve soaking liquid. In a pot combine together soaking liquid, chicken stock, Kombu, soy sauce, yellow miso paste, mirin and sake then bring it to a boil and simmer for 5 minutes in low heat. 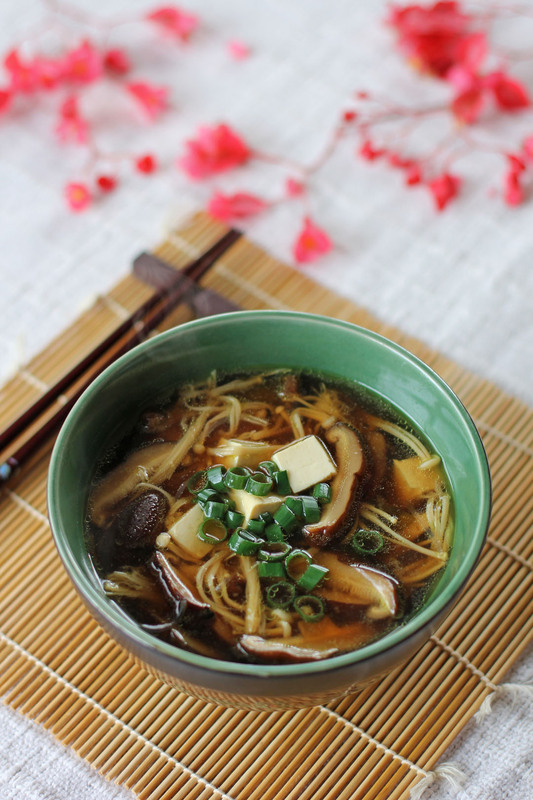 Add sliced shiitake mushrooms, enoki mushrooms and vermicelli, bring back to a boil then simmer for 5 minutes. Add the tofu then simmer for 3 more minutes. Season with sea salt if needed. Scoop in bowls then serve with hot, garnish with spring onions. I can tell that this is soooo good by simply looking at it. Thanks. Can’t wait to try It! Looks awesome thanks for sharing. Look great I love it thanks for sharing !!! This looks so earthy and delicious Raymund. Love the light and fresh flavors that this gives off! Thanks for sharing! Hi, Raymund, I’m excited to try this! I clicked on the stars to read the reviews and instead ended up rating the recipe. Is there a way for me to un-do that? Thanks! Unfortunately no, the polling system is served by Polldaddy will see if I can undo it but I doubt it. Anyways that should be fine, let me know how your trial turns up.